This extra special vase of roses in above and beyond our beautiful standard vase of roses! 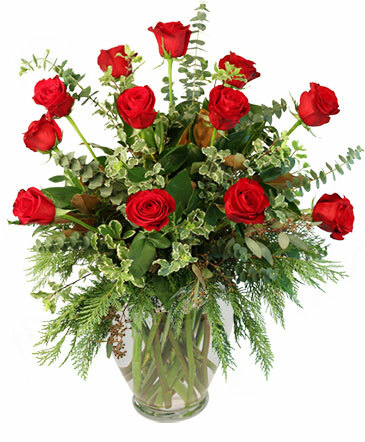 Stunning long stem red roses are designed with added winter greens and holiday touches. Amazing and memorable gift.